Mention Spring Break to most parents and immediate visions of lawless partying comes to mind. Spring Break is March 4th through March 10th. While we parents are looking forward to seeing our students after a long stretch without them, they may have other plans. 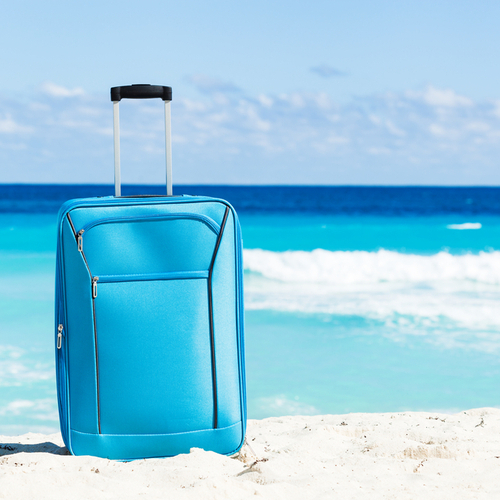 It is not uncommon for students to go away with their friends for Spring Break. For those of you who have students living on-campus, dorms do stay open during Spring Break. Parking is lifted for certain lots. Considering that Boca Raton is relatively close to the Port of Miami, cruises are by far the most popular option for Spring Break trips. Whether its a weekend cruise to the Bahamas or 8 days in the eastern Caribbean, there are several options for every price range. My daughter took a weeklong cruise with some sorority sisters her sophomore year. While it worked out to be a great deal for them, I still pity the families who were on board looking for some peace and quiet. Another popular destination is the Florida Keys. Key West is just shy a four-hour drive from FAU. My daughter informed me that Key West was a “rite of passage” for 21-year-olds, right before she set off for her last spring break with her friends. Some students will sign up with a Spring Break company that the group they want to go with is using. For those of you who have students that are looking for an alternative, FAU has trips that students can sign up for and volunteer. FAU has a program called Owl Breaks where students have the opportunities to serve their community over summer and spring break. Trip locations often include communities in Florida and other areas of need across the US and Puerto Rico. You can learn more here. While I wanted my daughter to be able to have a good time with her friends, I also was concerned about her safety. Her father and I set some ground rules before letting her go on any of her trips. Check in with a text daily. Just a simple text letting me she was ok was all I needed. Never, ever go off with anyone other than friends and never, ever let a friend go off with someone they do not know.